Two days after Buchanan's inauguration the Supreme Court ruled on the Dred Scott case. The financial Panic of 1857 predominantly affected the northern economy. John Brown led a raid on a federal armory in Harpers Ferry, Virginia in hopes of initiating a slave revolt. The Covode Committee established to investigate corruptions in government. 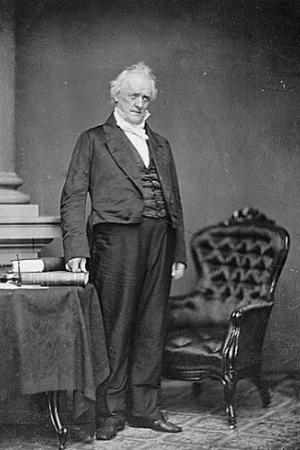 On December 20, South Carolina became the first state to secede from the Union. Facts about Buchanan and his presidency. Brief biography with links to more complete biographies published in the 19th centrury. Located in Meridian Hill Park in Washington, D.C. The home of James Buchanan located near Lancaster, Pennsylvania. Tourist information, biographies of Buchanan and Harriet Lane, and information on the mansion. 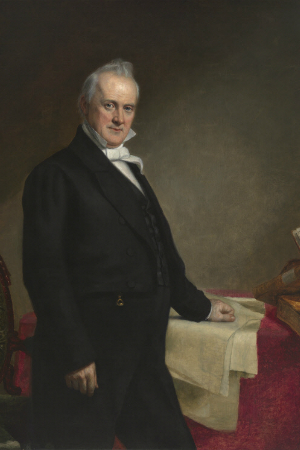 In his inaugural address, Buchanan committed to serving only one term. 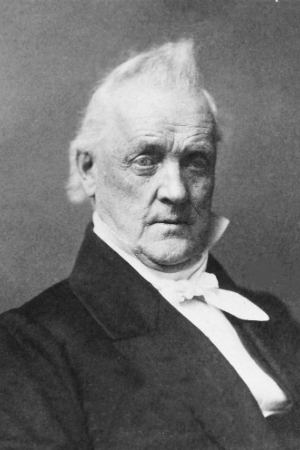 Buchanan is the only president to have never married. 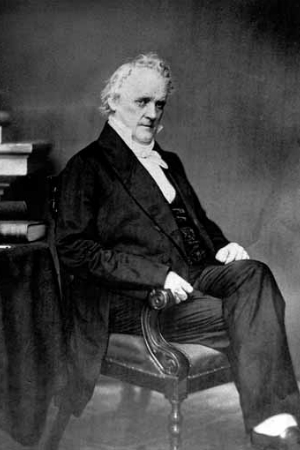 James K. Polk offered his Secretary of State, Buchanan, a seat on the Supreme Court. Buchanan declined. Buchanan bought and freed slaves - sort of. 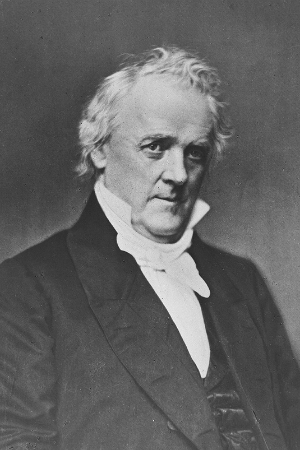 Buchanan was nearsighted in one eye and farsighted in the other. To compensate for his poor vision he tilted his head to the left and closed one eye. Buchanan never had to shave.